During the Trigger Point Injection procedure, the pain doctor inserts a small needle into the center of your trigger points. Typical the injection contains a local anesthetic or saline, and sometimes includes a corticosteroid. The purpose of the injection is to render the trigger point inactive and therefore the pain is alleviated. Hopefully the result is sustained relief. 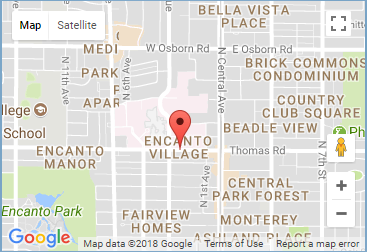 Injections are given in our office and usually take just a few minutes. Several sites may be injected in one visit. 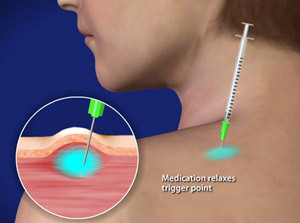 Trigger Point Injections are used to treat many muscle groups, especially those in the arms, legs, lower back, and neck. Many times Trigger Point Injections can be used to treat fibromyalgia and tension headaches. The technique is also used to alleviate myofascial pain syndrome (chronic pain involving tissue that surrounds muscle) that does not respond to other treatments. We have found that Trigger point injections can be very useful in tandem with Chiropractic adjustments for car accident victims. Ask Your Chiropractor or your Medical Doctor if they think you are a candidate for trigger point injections.